Yesterday, we here in the Sett were lucky enough to have a quick catch up with Sky Sports F1’s very own Johnny Herbert in the build up to the European season. We got his thoughts on McLaren and the recent controversy over female drivers. Badger GP (BGP): Thanks for chatting with us today! What are your thoughts on McLaren? Why have they appeared to struggle so far this season? Johnny Herbert (JH): Well there has been a lot of talk about changing the front suspension and that’s something that, to me, is not a big shift (from push-rod to pull-rod). I think we are seeing an aerodynamic issue with the car. 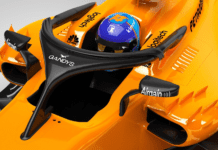 That has nothing to do with the suspension as such, but is down to how the design team build the aerodynamics from the front of the car forwards. They need to produce more downforce on the front of the car to balance the car at the rear. They probably have more down force than last year, but the other teams have a better balance, and I think this is the big issue. That’s down to wind tunnel and simulator work, and the correlation between those two. We know how important this is in the modern era and how good the Red Bull is. That is what everyone is working toward improving. The concept McLaren have at the moment isn’t the package that Jenson and Sergio need at the end of the day, more so for Jenson as the ex world Champion. I have no doubt however that they will be able to fix it. The car, if we look at the Jerez test, has underlying speed. It’s finding the right ingredients to give the driver what he needs to utlise the package in general. It’s a design correlation issue. BGP: There has been a lot of talk about female drivers in the last few weeks especially with Maria De Villota’s return to the paddock this weekend. The only female driver currently near a race seat is Susie Wolff at Williams. Do you think she has what it takes to make the step up? JH: Its a bit of an unfair question… I can only base it on past history and what she was doing in DTM, we haven’t seen her in a proper F1 test on a track yet. Of all of the drivers I have seen, the only girl who has done really well is Danica Patrick. Danica is very good on ovals in IndyCar, but she really struggled with the heavier (Indy and NASCAR) cars on street courses. Mentally is not an issue, they can probably cope with it better than men. The physical side is very very different. In any other form of sport, from Tennis to Golf there is always a difference between male and female competitors. There is more power and strength that comes from men naturally, that doesn’t mean (females) can’t do that. If you look at Tennis as an example, the sport has moved on massively from the days of playing at Wimbledon with a wooden racket…the women’s game especially! 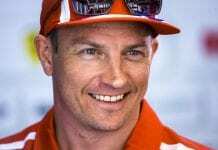 There is no reason that couldn’t happen in Formula 1. We still don’t have enough women in the junior formulas, which are dominated by male competitors. The only way it will be dominated by women, is for women to dominate the sport, starting from Formula Ford, GP3, GP2 and then getting the chance in Formula 1. You need all those experiences to come together for it to work for you and that counts for anyone in the modern day. I think potentially, yes (she can make the step up), but at this point I still don’t see it. It would be lovely to see her in an F1 car to see what she can do. She would be no slouch, that’s for sure. Would she be right on that edge? Hopefully she would surprise and prove me wrong. BGP: Thanks again Johnny, it’s been a pleasure talking to you. Previous articleWho’s in the money this year? 2013 driver salaries revealed!